We live in a world where time is of the essence and every second counts. Our society is also particularly fond of multitasking, juggling careers, education, family, everyday chores, social life, and a healthy lifestyle. The tiniest difference in time can throw a schedule completely off balance. So after all the business of the day, how is one supposed to fit in a workout? An easy and convenient way to exercise is to use the Apple TV workout application, actv (\ˈak-tiv\). With the free, interactive workout app, one can exercise from the convenience of their own home. Worrying about driving to a crowded gym or making it somewhere on time are no longer concerns. actv also includes a social aspect. It allows users to see when a friend is logged in and also working out. It can be more motivating when someone is there to be accountable and challenge the user. actv offers a variety of exercises to choose from to keep the workouts interesting. Different levels of exercises are offered, so users can safely workout at their own pace. With the statistics feature, users can also track their progress and monitor their health. 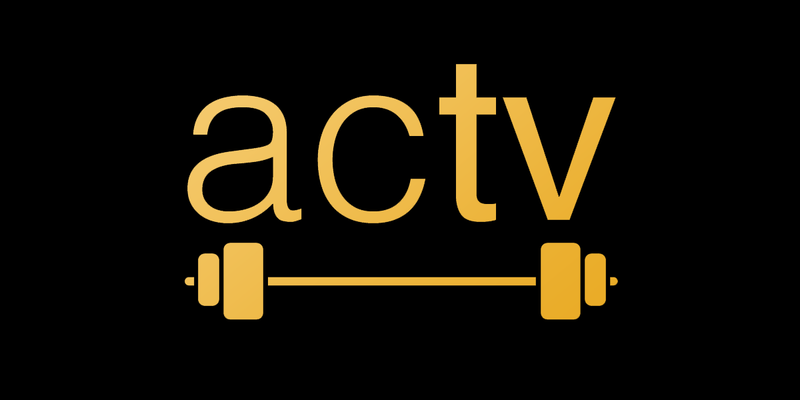 actv’s goal is to allow the busy bees of today’s society an opportunity for a healthier lifestyle. There is no more room for excuses for not exercising, especially when users save money on a gym membership by being instructed in their own living room. It is time for people to get up and get moving. It is time to get actv. Come out to New Media’s SLAM on May 7th, 2016 to learn more about actv and how it can promote a healthy lifestyle.